Scientists believe they have developed a technique to help halt the spread of diseases such as dengue, yellow fever and potentially malaria. It works by introducing disease-blocking bacteria into mosquitoes. Mosquitoes are unable to spread viruses when infected with the bacteria Wolbachia - but it has been difficult to spread because it reduces the mosquitoes' ability to lay viable eggs. Two researchers, based in Australia and the United States, have shown by introducing an insecticide resistance gene alongside the Wolbachia bacteria into the mosquito, the insects pass on disease-blocking bacteria to other mosquitoes faster. The team - Professor Ary Hoffmann from the University of Melbourne's Bio21 Institute and Department of Genetics and Professor Michale Turelli from the University of California - said this could mean the spread of disease can be stopped quicker - and fewer infected mosquitoes would need to be released in a disease control programme. The results, published in the journal Proceedings of the Royal Society B, highlight the importance of taking out comprehensive medical travel insurance before going on holiday. The disease-blocking strain of Wolbachia was first discovered in Australian fruit flies in 1988 by Prof Hoffmann. 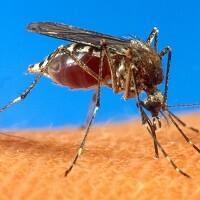 Trials with collaborators at Monash and James Cook Universities in 2011 showed Wolbachia-infected mosquitoes were unable to spread the dengue virus. The latest approach involves adding a pesticide resistance gene to a newer strain of Wolbachia called wMelPop, a strong blocker of the viruses.